Spring, Summer, Fall and Winter… This cottage books fast so do not procrastinate. 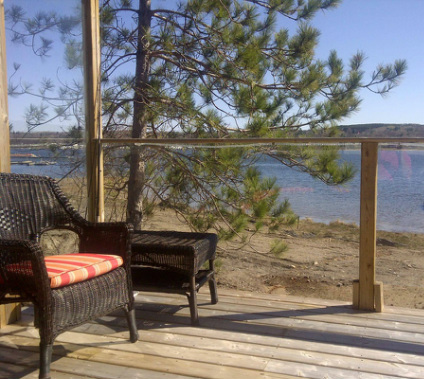 This Ontario Log Cottage Rental is the perfect place to relax and enjoy your getaway. At Ontario Cottage Rental you'll find the best of Georgian Bay. This is a year-round cottage. 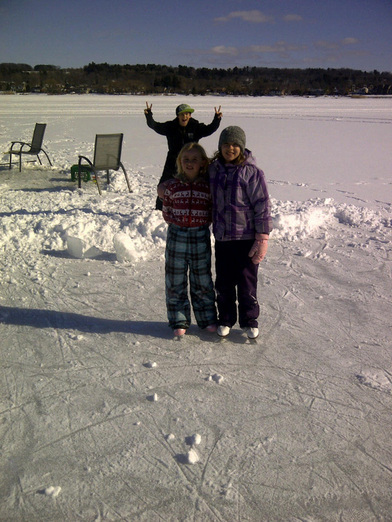 There is lots to do right on site in the Spring, Summer, Fall and Winter seasons at the Cottage Rental Ontario. Winter cook outs are a popular event at this cottage. Take a fall color tour in the canoe. 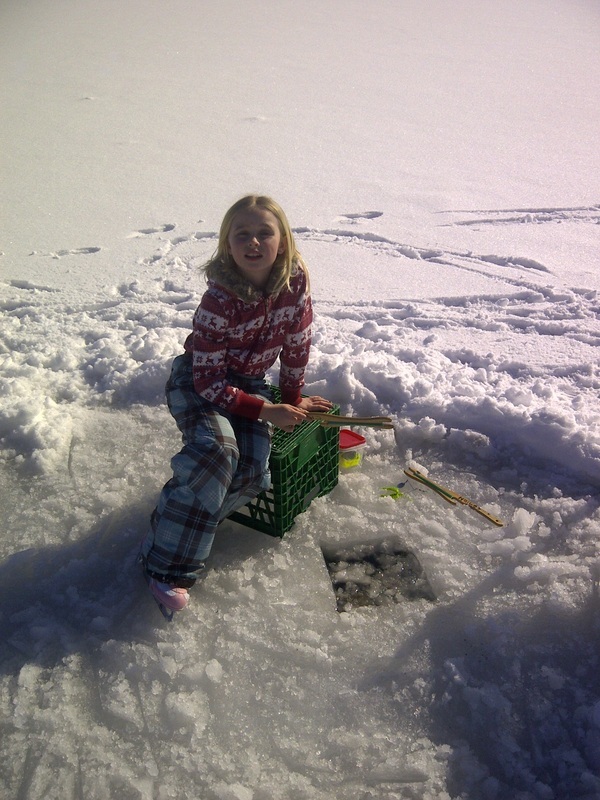 Fishing right off the docks is especially popular with the kids. And with out a doubt our most popular item is finishing the night in the private hot tub under the stars. The view is breathtaking. Hot Tub is open all year it has a Georgian Bay View and stars above. Outside is a world unto itself with 1000 sq ft deck. The spacious deck includes a table, chairs, umbrella, sectional couch two deck heaters and a propane barbeque for the outdoor chefs. Slide off the upper deck into the relaxing HOT TUB with a Georgian Bay View and a stunning array of stars above complete with an outdoor shower. Soothe those aching muscles after a day on the water. The Georgian Queen is moored on just the other side of the bay at the town dock for a beautiful scenic tour. 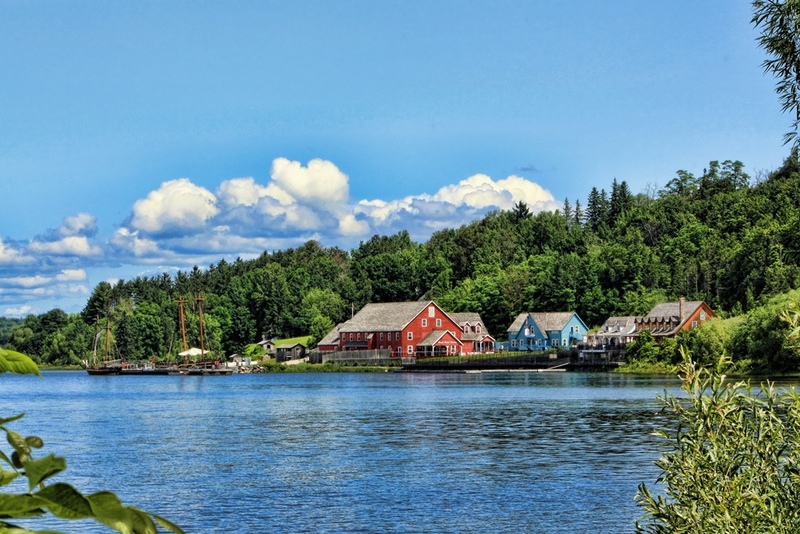 Often referred to as the sixth Great Lake, Georgian Bay features more than 30,000 islands. Georgian Bay's beauty is serene. Windswept pines and rich marine heritage all create a one of a kind destination. You will find multiple places to golf within minutes of the cottage. Hugo the Swan visits in the morning mostly in the spring and fall. he has a tag from the Wye Marsh Wildlife Rehabilitation Centre. 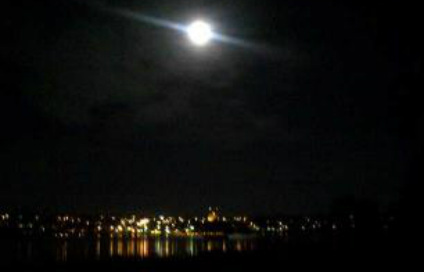 View of the "Super Moon" over Saint Annes Church in Penetanguisne from the cottage deck. 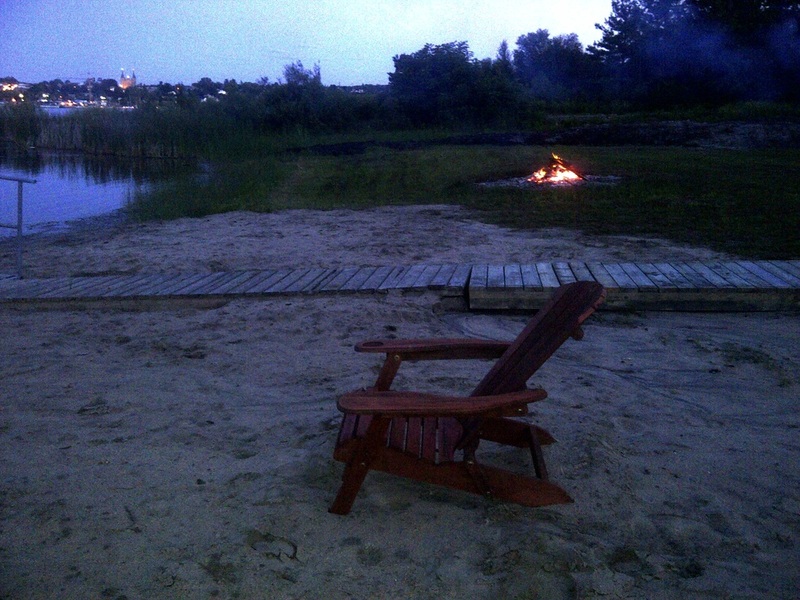 Enjoy Bonfires and marshmallows by the lake in any season. This beaver and his family live on the vacant property next door. We call them the cottage beavers. 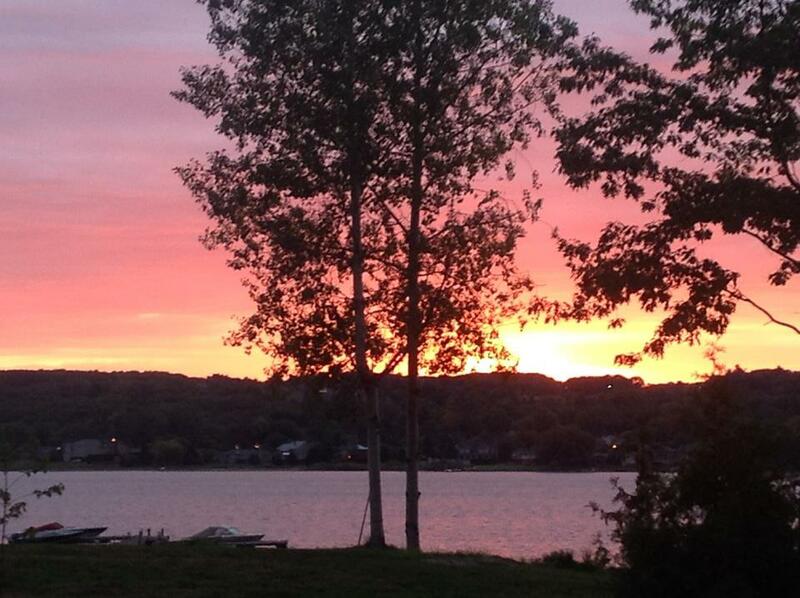 A great shot and a great catch from guests on their Honeymoon at the Rental Cottage Ontario. 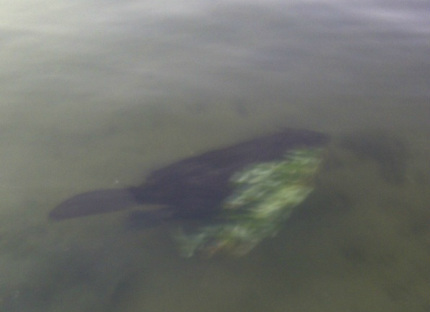 Fish off the dock or take the boat for a ride you are sure to have an adventure! Discovery Harbour Historic Site just a canoe paddle from Cottage. Visit in the Fall and enjoy the changing colors of the trees. Its a beauty to behold. The fishing is great all year round so bring your gear for bass, perch, crappie, pickerel and Muskie. Georgian bay boasts some of the best bass fishing in North America. There are beautiful nature trails close by for walks in the spring, summer and fall. The kids will spend countless hours swimming and playing. Guaranteed, nobody will complain about nothing to do at this one of a kind cottage. 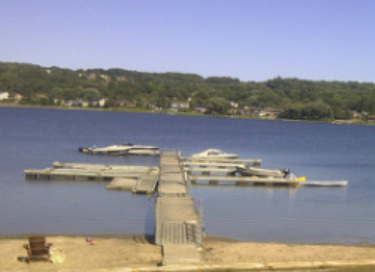 Park your boat and seadoo on the dock or use one of the boats we provide. 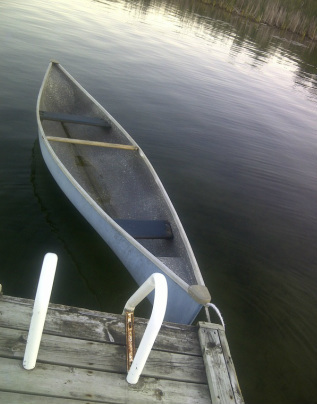 The blue canoe available at the Cottage Rental Ontario. Only minutes away by boat is the 30,000 Islands. 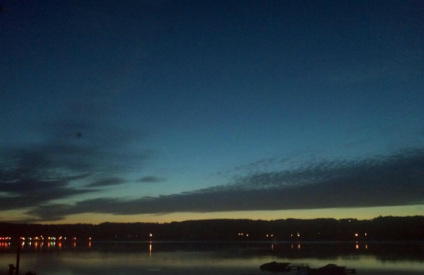 This log cabin location has the best of Central Ontario within minutes. Giants Tomb is a short 20 minute ride by boat. The Georgian Queen is moored right across from the cabin at the town dock. During the summer months you will find multiple places to golf close by. Bring your boat or Sea Doos. There is plenty of room at the cottage dock. 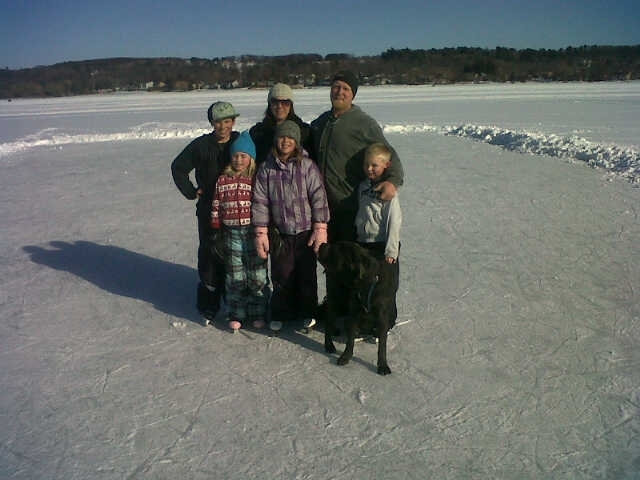 Imagine drinking hot chocolate with your family by the lake on your Winter Vacation! There is much to do at LogCabinForRent.ca in the Winter. Nearby nature trails provide for perfect cross country skiing in the winter. Or, you can cross country ski right on the bay. For those in the family that are not skiers can stay and relax in comfort by the fire or try the great ice fishing, skating and hockey right out front of the Cabin. The snowmobile trail is just 2 km away and better than that, you can jump on the bay right from the shore line.. When you finish your fun filled day there is nothing better then getting cozy by the fireplace or sliding into the hot tub to relax. 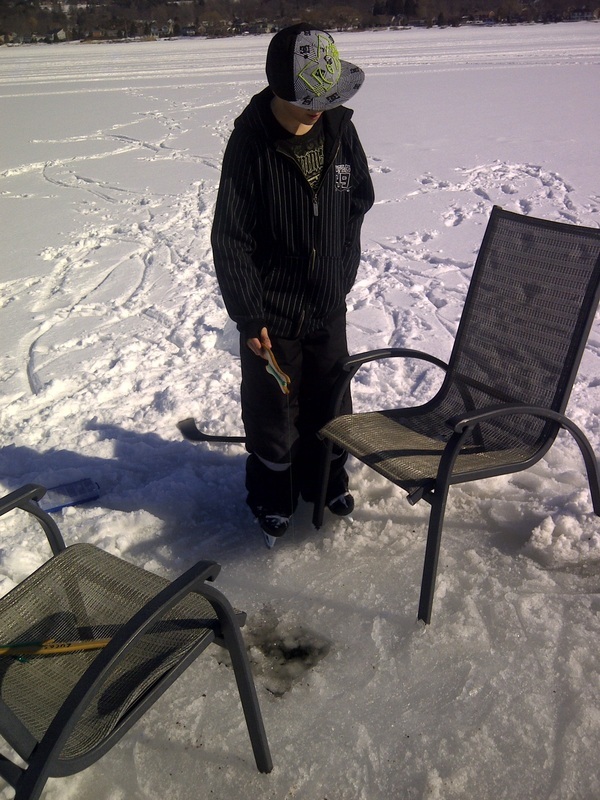 Ice Fishing in front on the cottage rental Ontario.